Police have said that the post-mortem examination into the murder of 14-year-old Alice Gross has proved inconclusive. In a statement, the Met Police said: "No cause of death has been given at this time and further tests are required." Locals have left heartfelt tributes to Alice Gross after the body of the 14-year-old schoolgirl, who went missing on 28th August, was recovered from the River Brent in west London. The Latvian suspect at the centre of the investigation into Alice Gross' murder "quite easily" have left the UK by car, a criminology expert told Good Morning Britain. Mark Williams Thomas said he knew of a friend of Arnis Zalkalns', a Latvian builder who police want to speak to, who had access to car and could have easily got him out of the UK. Following the discovery, police said their investigation into her disappearance was now a murder inquiry. 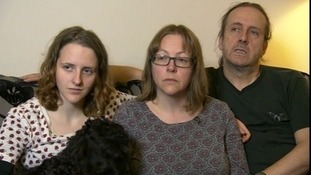 The parents of the missing London teenager Alice Gross have described their devastation at the discovery of her body. They say they can't understand why anyone would want to hurt her. Police said her killer had made significant efforts to hide her body. The discovery of a body late last night in Hanwell, confirmed the worst fears of the family and friends of missing teenager Alice Gross. 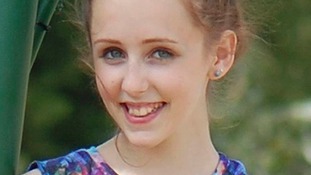 The Metropolitan Police have since confirmed the body was that of Alice Gross. The School that Alice Gross attended has issued a statement, saying the whole community will miss an "outstanding and talented student. Our thoughts and sympathy are with Alice’s family at this time. Alice was an outstanding and talented student who will be sorely missed from our school community. This is a very sad day for our school and we are devastated by this tragic loss. We are doing everything we can to support each other and will continue to do so in the days and weeks ahead. We would like to thank the MPS for their efforts in finding Alice and hope that the perpetrator of this awful crime is brought to justice very soon. If anyone has any information that may be of use to the police’s murder inquiry please do come forward. To conclude, may I now ask you to respect the privacy of Alice’s family and our school community as we come to terms with this sad news. The family of teenager Alice Gross have released the following statement via the Metropolitan Police. We have been left completely devastated by the recent developments and it is difficult to comprehend that our sweet and beautiful daughter was the victim of a terrible crime. Why anyone would want to hurt her is something that we are struggling to come to terms with. Alice was a loving and much loved daughter and sister, a quirky live spark of a girl, beautiful inside and out. She was a funny companion, a loyal friend, both passionate and compassionate, and so talented with a bright future ahead of her. She brought so much joy to our family and those who knew her. We still don't know who is responsible for this crime and we ask that people continue to help the police by giving them information that could help bring the perpetrator to justice. We would like to thank all those that have supported us in our efforts to find Alice, especially the local community; it is comforting to know that so many people care. This is a personal and private tragedy and one which we want to be allowed to deal with in that manner, rather than fearing any individual or group will use it to further any political agenda. This is a time for grieving and not a time for anger or recriminations. We trust that the press will behave responsibly and not publish any material that might jeopardise any future criminal proceedings. We now ask for our privacy to be respected to allow us time to grieve as a family. The Metropolitan Police has confirmed that the body found earlier today is missing West London teenager Alice Gross.